I am going to use Cinema 4D & After Effects to accomplish this. It’s somewhat of an advanced tutorial, so you’ll need some descent experience with Cinema 4D. I am using Cinema 4D R15 Studio. 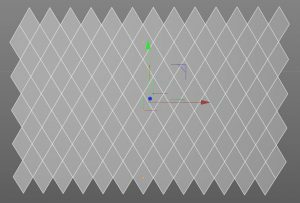 The Studio version includes MoGraph, and you’ll need this to build the diamond grid. So without further ado, let’s get started! The first thing we need to do is create the diamond shape that makes up the transition itself. Let’s start by creating a 4-Side spline shape. Go to Create → Spline → 4-Side. In the Attribute manager, make sure the Type is set to Diamond. Enter 360cm for the “a” value, and 600cm for the “b” value. This will give us a somewhat symmetrical diamond shape. Next, we need to extrude the spline so that it has a flat face. With the 4-Side spline still selected, go to Create → Generators, and while holding Alt (Option on Mac) on your keyboard, click on Extrude. 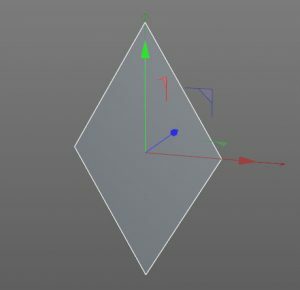 This will make our spline object a child of the extrude object. 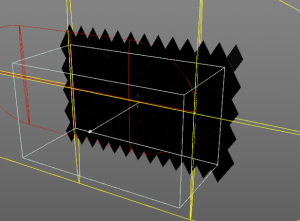 We don’t need any extrusion depth, so in the object manager, make sure all the Movement values are 0. The Cloner settings shown here are what will be used to create our grid. 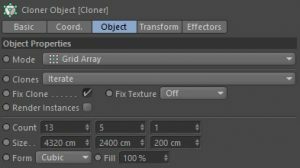 Just to Clarify, make sure the Cloner’s mode is set to Grid Array. Count should be set to 13, 5, 1. This is 13 diamonds wide, 5 diamonds high, 1 diamond deep. 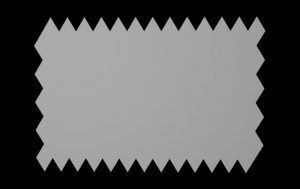 For the size of each one, I got to these values by multiplying the width of our diamond (360cm) by the count (minus 1). So for the width: 360×12 = 4320cm. For the height: 600×4 = 2400cm. Hopefully that makes sense. I’m not the best at explaining things. 😛 So that will give us half our grid pieces. We need to duplicate the Cloner object and move the other pieces into the gaps. Duplicate the Cloner. To move the new Cloner into the exact position, start moving it on the X axis. Hold Shift to move in increments. We want to move it 180cm (half the width of the diamond shape). Then move it on the Y axis 300cm (half the height of the diamond shape). It doesn’t matter if moved left/right or up/down… as long as it’s moved into the gap. Select both Cloners in the object manager, then go to MoGraph → Effector → Plain. Click on the effector’s Parameter tab in the attribute manager. By default, the position is set to 100cm in the Y Axis. We don’t want to animate Position, we want to animate Scale. So uncheck Position and click on Scale. We need to scale our clones to essential 0%. Enter -1 for the X,Y,Z values. To get a better visual of what we’re doing, we need to change the Falloff shape. Right now, our clones are affected no matter where they are in our scene. Click on the Falloff tab. Instead of animating a straight line, it’s more interesting to get more of a “V” shape as they animate on. Change the Shape from Infinite to Capsule. Change the Orientation to +X. Set the Size to 3500cm, 2900cm, 100cm. You’ll want to center the plain effector onto the cloners. This is easier to do in the Front viewport. Move the effector to the left a bit and you’ll notice the clones will slowly fade into view. We want the effector to start on the left side of the cloners and move to the center of them. Although we want them to appear, not disappear as it moves on. Simply click on Invert in the Falloff tab. Now when you move the effector over the cloners, they scale into place. Move the effector to the left of the cloners on the X axis just to where they all disappear. Create a keyframe at frame 0 on P.X. The value should be about -9314cm. Move the playhead to frame 45. Move the effector to the right on the X axis to where all the cloners appear, and create another keyframe on P.X. The value should be about -1300cm. Let’s smooth out the animation a bit with a Delay Effector. Select both cloner objects and go to MoGraph → Effector → Delay. This will ensure that the scaling animation doesn’t end so abruptly. Change the Strength to 60%. We are going to use track mattes inside After Effects, so we’ll want the transition to render black and white. We want it to start completely white and end completely black. For the background, we’ll need to insert a Background object. Go to Create → Environment → Background. In the attribute manager of the background object, change Use Color from Off to On. It should automatically change to white, which is what we want. Click on the Plain effector. In the attribute manager, click on the Parameter tab. Change Color Mode from Off to On. Select both Cloner objects. Click on the Transform tab in the attribute manager. Change the color to black. Now when you click Play, each of the diamonds will animate from white to black. In the perspective viewport click Cameras → Use Camera → Camera. If you click play this should be exactly what we’re going for. Now we need to render out the transition frames from Cinema to bring into After Effects. 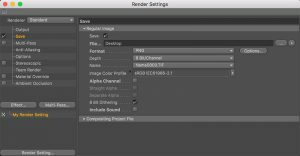 Click on Render → Edit Render Settings. Click on Output and under the presets at the top, select HDTV 1080 29.97. You could also change the width and height to 1280×720, if you don’t need full HD. Change the frame range from 0 to 45. Click on Save, then make sure it’s selected. Choose an output path. I like to render as an image sequence, as this retains full quality. If errors occur during rendering, you can begin rendering where it left off. Change the Format to PNG. Close out of the render settings dialog, then click Render → Render to Picture Viewer. This will take some time to complete, but when finished, you can save your scene and close out of Cinema 4D. Now we need to open After Effects and import our rendered frames. Inside After Effects, click on Composition → New Composition. Change the Preset to HDTV 1080 29.97. Change the duration to 3 seconds. Click on File → Import → File. Find the first frame of rendered files and make sure PNG Sequence is selected, then click Open. This will bring all the rendered frames into After Effects and appear as one file. That’s pretty much it! Play back the animation and you’ll end up with a pretty sweet transition! Replace the solids with either photos or video in your own projects. Hopefully this tutorial made sense! Sorry for such a long read for such a simple transition. Please let me know what you think in the comments below. Let me know if you have any questions about anything and I’ll try to answer the best I can! Thanks for the work you put into this. 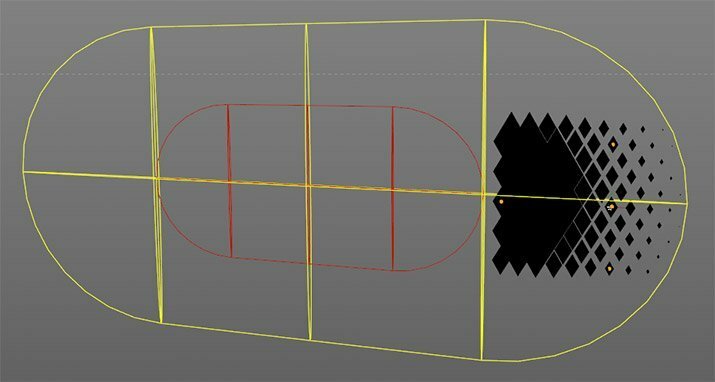 I am really new to Cinema 4d and this tutorial was very helpful. Really appreciate it. You’re very welcome! I really appreciate the comment!